In Rogers Communications Inc. v. Society of Composers, Authors and Music Publishers of Canada, the Supreme Court of Canada dealt with the question of whether or not services that allow live streaming of music on their websites are “communicating a work to the public by telecommunication” as per Section 3(1)(f) of the Copyright Act (the Act). Where this decision deals with the question of streaming over the Internet, the companion decision, ESA v. SOCAN (discussed here) deals with the very same provision of the Act with regards to downloading. The appeal is based on a decision of the Copyright Board to authorize a tariff (Tariff 22) requested by SOCAN- the copyright collective responsible for administering performance rights in musical works- slated to cover remuneration for musical works transmitted over the Internet. Writing for the Court, Justice Rothstein (Justice Abella concurring on the issue of standard of review) allowed the appeal in part. Since the Court’s decision in ESA v. SOCAN determined that downloads over the internet are not communications to the public by telecommunication, the reasons in this decision dealt strictly with the matter of streaming. On that issue, the Court disallowed the appeal. The Appellants argued that a communication “to the public” requires that a single transmission reach several people. In other words, they contended that a one-to-one transmission could not be considered a communication to the public. The appellants based this contention on the determination in CCH Canadian Ltd. v. Law Society of Upper Canada that transmissions of individual copyrighted works to lawyers by the Great Library were deemed private communications. The Appellants also argues that when a one-to-one transmission of a single copy of a musical work is initiated by the client (a “pull” model), no communication to the public has taken place. This argument flows from the fact that traditionally, the telecommunication right was associated with broadcasting (the “push” model). In traditional broadcasting, a signal from a single point is transmitted to the public at large, or in the case of subscription services like cable and satellite television, whoever has access to the signal. The argument is also bolstered by the Appellants’ contention that the intention of the communication should be examined. The Appellant's first argument deals with the nature of the transmission itself where the second deals with who is initiating (or who is intending) the transmission. Through their entire argument, the Appellant stressed that the Court must examine the transmissions on an individual basis. In fact, for both of the above arguments to stand, it would be imperative for the SCC to examine the matter from the perspective that each discreet transmission constitutes an isolated event. The Court rejected these arguments. Dealing first with the contention that a one-to-one transmission by its very nature cannot be a communication to the public, Rothstein rejected the Appellant’s application of CCH to the case at bar. In CCH the Great Library at Osgoode Hall offered a service whereby members of the Law Society of Upper Canada could request copies of documents- or excerpts thereof- contained in the libraries vast collection. If approved, the requested material would be sent to the requester by fax. Agreeing with the Federal Court of Appeal, the Supreme Court in CCH determined that a communication to the public must be “targeted at an aggregate of individuals”. However, Chief Justice MacLachlin, writing for the Court in CCH expressly limited the ruling to the facts of that case. She reasoned that had several repeated transmissions of the same work been sent by fax to a number of different recipients, such a behavior might constitute a communication to the public. However, no evidence was adduced in that case to show such activity. The Appellants second argument- the fact that because the communication is initiated by the recipient and not the sender, it is not a communication to the public- was also rejected by the Court. The Appellants attempted to argue that we must look at “the intention of the sender in accomplishing a given transmission”. The argument goes that when a sender transmits a “blast communication” (an e-mail sent to thousands of recipients for example), the sender has “taken it upon himself to send [the work] out”. On the other hand, when the client initiates the transfer on an individual basis, the intention to conduct the transfer is not on the part of the sender but the recipient. Justice Rothstein wrote that to abstract the consideration of which party had the intention to initiate the communication is to disregard the essential character of the communication. Citing the Copyright Board’s reasons, Rothstein points out that the downloads are made available to the public. Anyone with the appropriate device (a computer with an internet connection) can theoretically access the work upon paying the fee. It would be difficult to argue here that the intention was not to have the same work transmitted multiple times. On the contrary, the goal is to sell as many streams or downloads as possible. 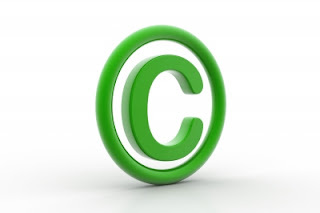 By examining the activity in context, the true intention- that the same copyrighted work be purchased as many times as possible- is revealed and the superficially valid argument that we should view the activity from the perspective of the initiator falls by the wayside. Rothstein goes on to say that to look at the activity of the Appellants on a transmission by transmission basis is to ignore the principle based approach to copyright. On the Appellants’ view, on-demand services such as pay-per-view or Netflix would not be compensable under section 3(1)(f) of the Act. This conclusion is unacceptable because it bases the copyright holder's right to remuneration on the content distributor's choice of business model. Put differently, why should content distributers not have to pay a royalty for 100 individual transmissions initiated by the receiver when they do have to pay for the transmission of the very same content over the very same network when it is initiated by the distributers themselves? All in all the Supreme Court issued a tight and well reasoned ruling. While the Appellants’ argument’s weren’t entirely unconvincing and were often intuitively appealing, Justice Rothstein was right in pointing out their inconsistency with the principle of copyright law that the overall context of the communication should be considered. If the work is protected by copyright, and the activity in question is one that the copyright holder has the exclusive right to do, then whether the communications occur one at a time or whether they are initiated by the recipient are irrelevant as to whether the communication is “to the public”. Upon some reflection, it seems a tad insincere to contend that because the communications happen on a one-to-one basis, they are therefore necessarily private and thus not “to the public”. As the Court makes amply clear, the point of offering musical works for stream or download is to make money. Money is made by maximizing the number of times these works are accessed by clients. “The public”, as it were, has full access to the entire catalogue of works and the fact that they initiate a pull-based transaction as opposed to the content distributer initiating a push-based one is not decisive in determining whether the communication is to the public or not. So, it would seem from the determinations in ESA v. SOCAN and Rogers v. SOCAN that whether the transmission of a copyrightable work over the Internet is a communication to the public by telecommunication depends on whether the content is being streamed or downloaded.